As more and more companies are shifting gears and jumping on board with cloud technology, the contact center industry is making the switch as well. Cloud computing technology has made it possible for call centers to forego the need to increase staff numbers and the routine headaches that are all too often associated with hardware and software (we’ve all been there). The good news for the contact center industry is that the adoption of cloud technology means less time wasted, less cost, and more focus placed on actually connecting agents with customers. As new features, updates, and technology don’t require costly hardware investments, it’s no wonder why we’re seeing a surge of IT service providers leaning on cloud-based call center technology. And, their customers haven’t looked back since! It’s no secret that an on-premises call center requires an extensive amount of money to not only install but to operate on an ongoing basis. Switching to a cloud-based system eliminates both the need to build out an extensive IT team and the overhead expenses for putting in place the necessary hardware. 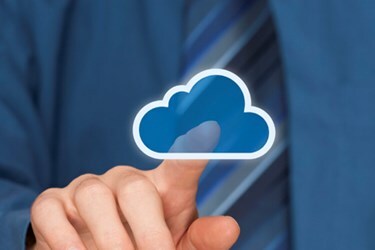 More and more companies are seeing the benefits of being able to access their software applications in the cloud and are downsizing their IT departments to just the necessary few. Many IT services providers have helped their customers make the seamless transition to the cloud, which has helped downsize payroll and upgrade productivity, all in one fell swoop!